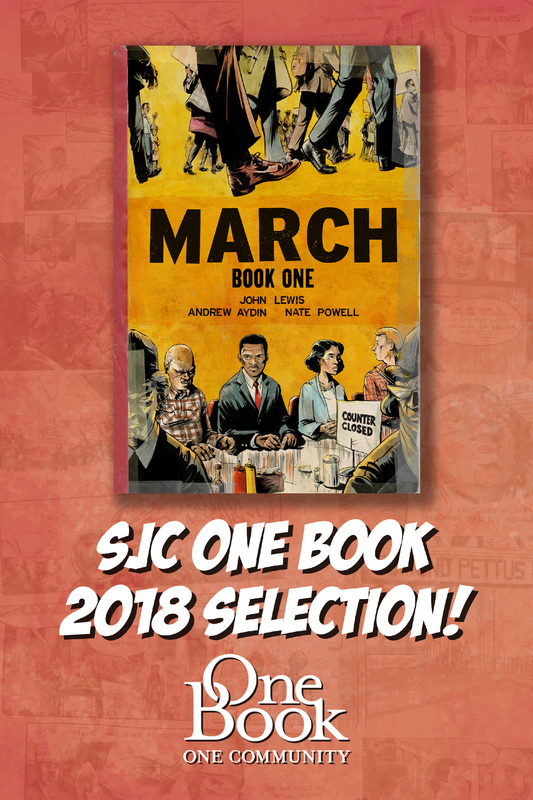 The One Book, One Community Committee has selected March, Book One by Congressman John Lewis for the 2018-2019 school year. This guide is to assist students in researching civil rights, social justice, graphic historical novels and/or other related issues. Sections of this guide will periodically be revised. If you need additional information and assistance, please call the SJC Librarians at 505-566-3256. The One Book, One Community originated in 2010 as a two-year Distinguished Teaching Chair project of San Juan College Professor of English Traci Halevass. It is based on the philosophy that a community that opens a book together closes it in greater harmony. It was developed to build a sense of community while promoting literacy. One Book, One Community is intended to promote campus and community dialogue through curriculum projects, discussions and a presentation by the author.